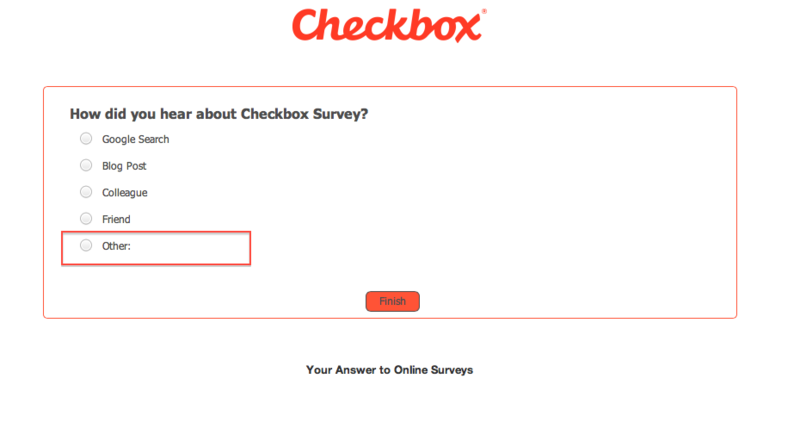 We asked our customers in a satisfaction survey, “How did you hear about Checkbox Survey?” We offered them various options and also presented an “Other” option response to understand where else customers were hearing about us. 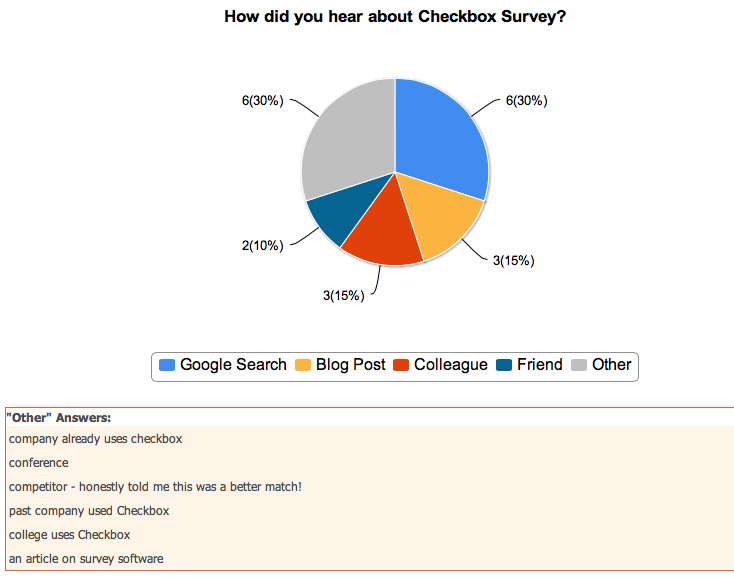 A basic Checkbox generated report will provide you with a pie chart or column graph that will display the number or percentage of “Other” responses you have received. However, you also have the option to display the “Other” responses below the chart itself in a table format. 1. From within the Reports Editor, select “Edit” next to the report you would like to customize. 2. Now, select the page and item that you wish to edit. 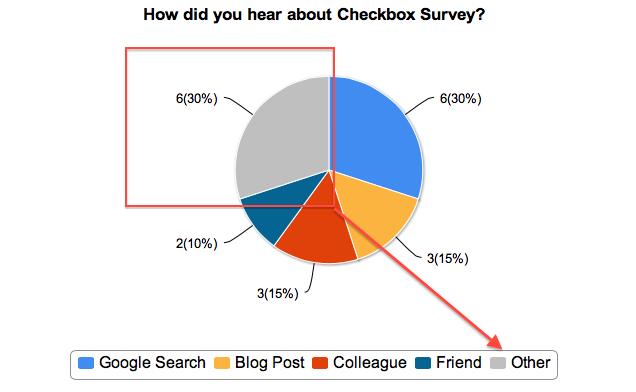 The summary data will show the basic pie chart displaying the numerical or percentage data of “Other” responses. 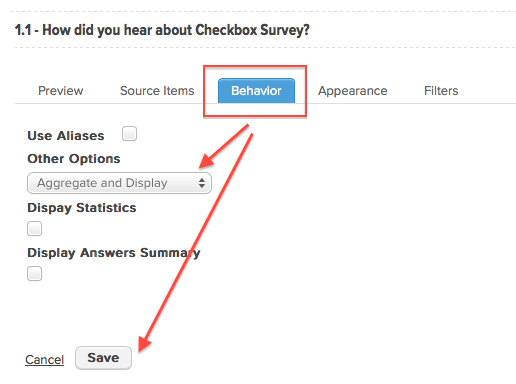 To detail the “Other” responses below this chart, select the “Behavior” tab and select “Aggregate and Display” under “Other Options”. Select “Save”. 3. Next, re-run the report and your new summary will now show a table under the pie chart displaying the “Other” responses.